Per usual I get a lot of sheep and yarn related photos via email from friends and clients traveling all over the world. Rare is it though that there’s a yurt image for someone to send but recently I got one from my dear friend Val. Thrillist must have an app that lets you click what you should do with you life and they tell you! Very cool. 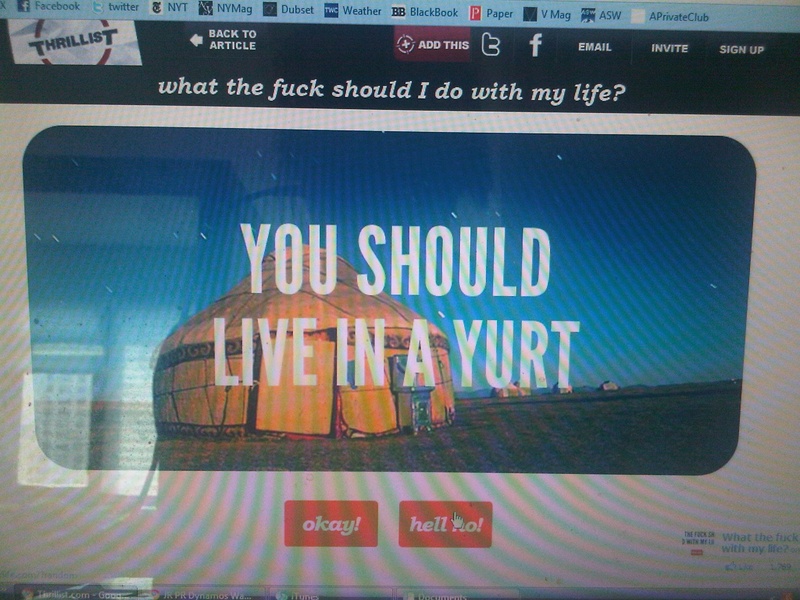 Especially since they’re recommending that people live in a yurt, what an awesome directive to get! 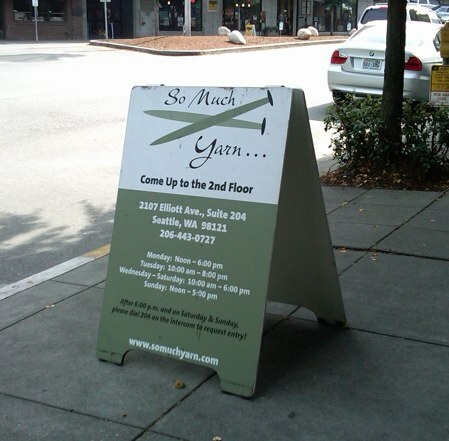 Shortly there after I got a photo in the mail from my client, Jerry, who thought of me on a business trip when he saw this sign. Story of my life as you all well know. I’ve been a busy bee with the yarn lately as I’ve been trying to finish all of my rewards within a year! I know…it doesn’t sound very fast but I swear I’m working on them ALL the time! I should be able to be more productive now that Cady my yurtern is back in the mix – yay for helping hands. I’m not sure how I got so lucky on the friend and client front but keep the pictures coming!